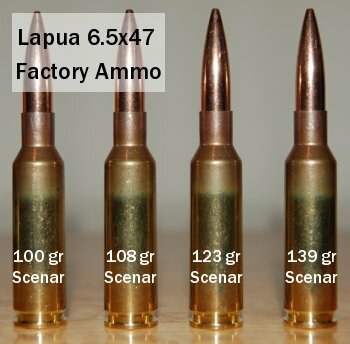 Share the post "6.5×47 Lapua Factory Ammo Field Test"
“I received one of Kelbly’s new triggers and installed it on my 6BR Remington 40X. Installation was normal for any Rem-pattern trigger and it fit perfectly. However, the stock (previously inletted for a Jewell trigger), required a slight amount of material removal at the front of the trigger slot as the Kelbly trigger is a bit longer than a Jewell. Construction of the Kelbly is very robust. It appears to be machined from a solid bar of steel rather than being two end plates screwed together. Perhaps the trigger’s best feature, however, is very wide range of pull-weight available with no changing of springs or other parts. As delivered it was set for approximately 1.5 oz. and broke very cleanly at that weight. Since my application is 300 Meter prone shooting, I raised it to 6 oz. This required moving a pin under the sear bar to the second of four holes and slightly tweaking the weight of pull screw. Compared to other triggers, it was a joy to work with this arrangement and took just a couple of minutes. 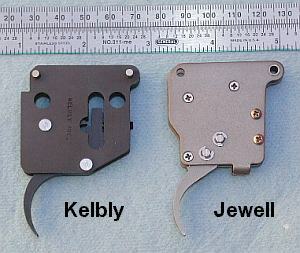 All adjustments (weight of pull, over-travel, and sear engagement) are made with set screws and their effect on the internal parts can be seen through windows cut into the trigger body. This makes trigger tuning more precise. Share the post "Kelbly and Jewell Triggers Compared"